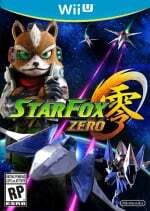 Star Fox Zero isn't far away, and as the name suggests it will serve in part as a greatest hits showcase for the modern generation. From stages and plotlines inspired by Star Fox 64 through to the fact you can unlock a retro-styled 16-bit Arwing with a scan of the Fox amiibo, it's full of nods to the series' history. To emphasize that point Nintendo of Europe has released a history trailer that showcases past entries in the series before wrapping up with some lovely footage from the Wii U release. In terms of the new entry we get a fresh glimpse of stages and Wolf jumping into a battle. Check it out below and let us know if it's getting you hyped for the upcoming Wii U release (and Star Fox Guard, too). Really cool trailer and yes I am hyped for Zero and Guard despite all the negativity about the Wii U's future. Can't wait to get it, looking forward to playing the game. How cool would it be if Star Fox 2 ended up on the eShop? Or maybe an unlockable bonus in Star Fox Zero? @KIREEK StarFox 2 is a great game. However, as always Nintendo has some trouble with the SNES FX Chip games. Even the first title didn't get a VC release so far. I guess that explains why only the GBA version of Yoshi's Island is on VC. Argonaut designed the SuperFX chip, not Nintendo, so I wonder if there's some licensing issue or a lack of documentation because Argonaut went out of business in 2004. @dsparil Yes, it is not clear to me. Licensing could be problem but as you mentioned it seems like there is no license holder anymore. Other people suggest that the FX chip is hard to emulate. However well-known SNES emulators have no problems with these games. Maybe the emulation needs some work and money, Nintendo isn't willing to invest in these few games. On the 15th of April I'll be downloading 3 of the Nintendo Selects,NSMBU and Luigi,Windwaker HD and LEGO City then a week later this beauty along with Guard.That's some top drawer games right there,I can't wait! I noticed Lylat Wars running faster than I remembered; clearly due to the 50Hz/60Hz issue that plagued European gamers in days gone by. As the Wii U VC entry goes by Star Fox 64, I guess that it's the US version? Also, did the 3DS release also run equivalent to 60Hz? I really love the cover art for the Star Fox Zero Collector's guide. Making this a day one purchase. Can't wait. When are we getting SNES Starfox/Starwing on the VC?!?!?!! @FX102A yep it's on their website, us version! I'm sure I'll be chastised for saying it, BUT... I love Star Fox Adventures. This game will be awesome, but I would really like another Adventures-type game with more flying. Or a game like with with some decent exploration on foot. Regardless, more Fox is fine in any game style. Heh, leave it to Nintendo U.K to make a snazzy trailer. Especially when they started it up with the SNES StarFox. Can't watch the video as in work. But have a question. Is the Guard game coming with every copy if zero on release? As in that's what they mean by the first print run from release? So I have it preordered for £30 online. Will I get both discs at release? @readyletsgo No, First Print in Nintendo terms is just another name for a special/limited edition. Your preorder given the price you mentioned will only get Zero, First Print edition is ~£50. @Grumblevolcano ah, awwww, oh well, I'm not too bothered I guess. I'm getting the big guide also so I guess that's enough for me. I'll pick up Guard on the cheap somewhere later on. Zero looks great! It looks like a must buy! What the heck is Star Wing and Lylat Wars? @NESlover85 The EU names for Star Fox and Star Fox 64, respectively. Can't wait for this in April. I'm about to play Star Fox 64 3D in readiness, still haven't played it! 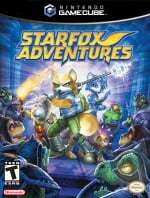 Another call from me for original Star Fox on VC, if it's ever going to happen. And if StarFox 2 made it, well...... I'd buy that new NX controller!!! @TruenoGT Amazing. I mostly see people saying SF64 is the best game. I hardly see anyone saying the same for the first. The first game is a masterpiece in my eyes. I'm really sad that it has never appeared in any other platform outside of the SNES. I'd LOVE to play it on the 3DS, and in 3D. Not getting Zero as I don't want/have a Wii U. Personally, I wish they'd stuck with the Star Fox Assault voices, particularly for Slippy! 64 is my favorite by far, it was such an improvement over the first. 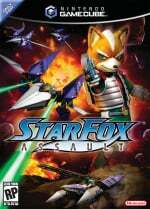 Since then well ther has never been another Starfox as enjoyable for me. I did like adventures but definitely not for the lame flight sections. It is amazing to see how well that game stll looks. I never played assault. I am really hyped for this though. What an awesome video!! A great look back and some serious hype building for Zero! Wow, awesome trailer and I love how it feels like a sequel to Star Fox 64, man I get teary eyed everytime I hear that SF64 themetune, still a brilliant game! How could naysayers NOT be pumped after that wonderful trip down memory lane? Zero's gonna be FUN! Well, nice to see the non-64 games acknowledged in some way at least. Personally of the opinion Assault's a better game than 64 is. Adventures... Eh, kind of a mediocre Zelda knockoff and obviously rushed but not a bad timekiller. Command is trash.